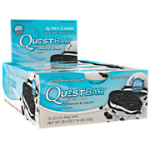 Quest bars fans – this is your opportunity! , letting you save big on Quest products! Even better, shipping is FREE with any order over $25. Add 4 boxes to your cart (or other Quest products) – the price in your cart should be $99.98. You can also mix & match with the other promotions on Vitamin Shoppe HERE. – your total should drop by $25! The price on these Balance Bar (6/pk) drop to $4.99 shipped with Amazon Prime. Available in Caramel Nut and Cookie Dough flavors for this price. 15% OFF. The price on the Sinister Labs Sinfit Snack Bars (15/pk) drop from $16.46 to $13.99, with coupon code DPS10 during checkout at DPS. 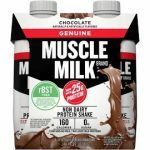 The price on the Muscle Milk Genuine Protein Shake (12/pk) drop from $23.23 to $13 shipped with Amazon Prime. This is the best total price we saw by at least $13. Also available in Chocolate for this price.